It’s one of the biggest purchases of your life. So it’s totally understandable that you’d demand the most skilled and experienced team to help you meet your investment strategy. Along with the award winning ASPIRE Advisor Network, we act as your Buyer’s Agent: we are in your corner when it comes to buying an investment property. No standing on the sidelines. No looking out for the seller. We’re here for you. We are your edge over other buyers. Help to grow a portfolio that performs well. Acquisition service to source specific properties upon investor’s request. Protect your sanity, your hard earned investment funds, and your sleep. Choose to use property investment services that are backed by one of the most respected organisations in the property industry: the ASPIRE Advisor Network. Type of property (townhouse, house, apartment, duplex, dual occupancy). 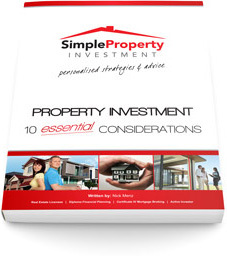 Your choices are not limited to a property stocklist like many property businesses and real estate agents. Developer / builder due diligence. All properties must pass in-person inspections by the ASPIRE Acquisitions team at every stage of development.